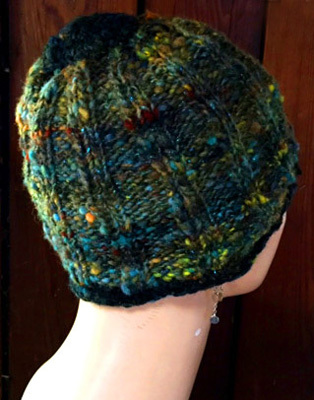 This is an all wool knit multicolor hat with very subtle tiny blue sparkly highlights that mostly show up in sunlight. 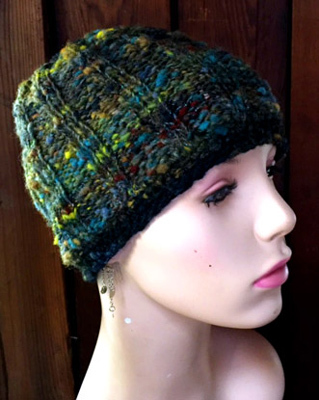 I've blended many colors together to make the yarn, which is why I've decided this hat belongs on the Rainbow Hats page. 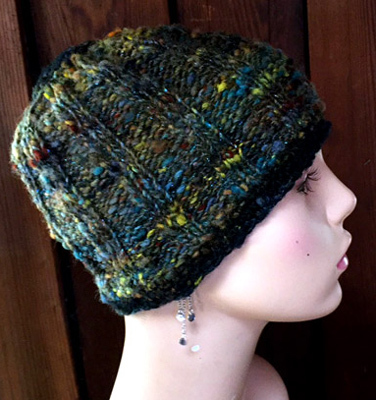 I call them rainbow hats because there are too many colors to name. 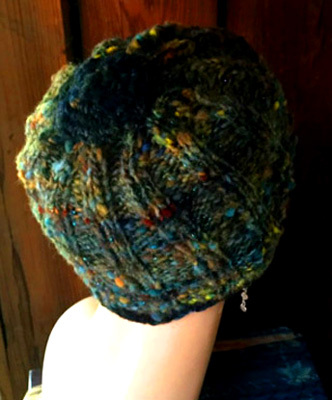 The rim around the face and crocheted circle at the top are made from similar yarn only with more black added. It looks like plain black in the photos, but there are also flecks of many of the same colors as in the main body of the hat. Fits an adult size medium large.